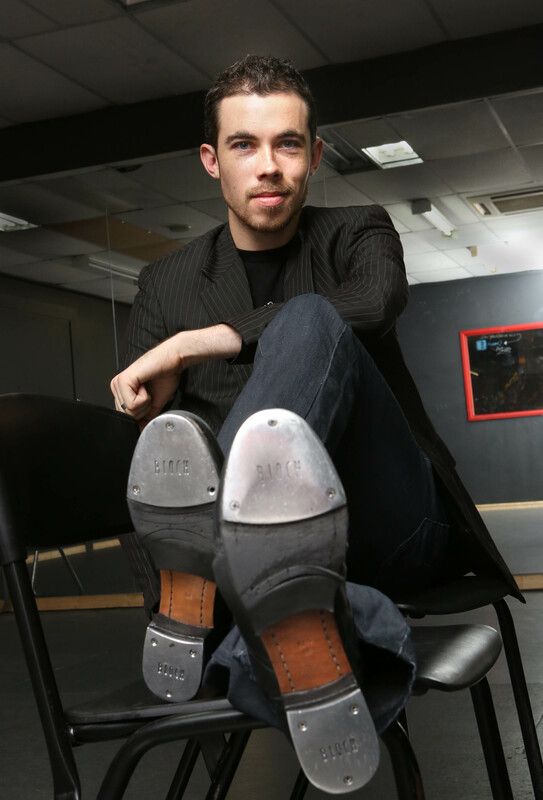 Red Hot Rhythm began in 2007, and in the 7 years since beginning, has become a leading presence in the Australian Tap Dance Community. Based in Brisbane, Australia, Red Hot Rhythm are known for their unique collaborations and lightning fast tap dance. Red Hot Rhythm have performed throughout Australia and the world, and in 2008, were invited to perform alongside the world’s best at the Melbourne International Tap Festival. In 2009, Red Hot Rhythm performed their ‘Tap VS Irish’ act on the nationally televised TV show Australia’s Got Talent, for which they reached the grand finals, and were Australia’s top dance and group act. In 2012, Red Hot Rhythm performed their first stage show, ‘Rhythm Junkies’, at the Brisbane Powerhouse to sold out crowds and standing ovations. In 2013, the show returned to the Brisbane Powerhouse for a second season entitled ‘Rhythm Junkies: REVIVED’. Most recently, the troupe performed to an audience of over 15000 during the New Years Eve performance at Woodford Folk Festival. 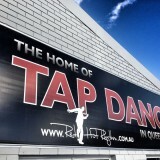 Red Hot Rhythm also teach adult tap classes in Brisbane. It’s been a pretty fun 7 years since Red Hot Rhythm began. Here’s my version of the story. As most stories do, it begins with an idea: Can rhythm change the world? Admittedly, that’s a question, not an idea, but in fairness, the question did directly lead to the idea. I’m willing to let it go if you are. It was 2007. 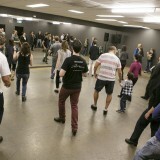 The idea was of course Red Hot Rhythm, and the goal was simple: Change the world one tap step at a time. Grand, but simple. As it turns out, the goal is not quite as simple as that. As we quickly discovered, building something from scratch is a difficult, time-consuming process, and most of the time is spent spitting in the face of logic, and then wondering why the hell you got into it in the first place, and wondering if you wouldn’t be better off still selling popcorn at the movie theatre. But despite all of that, we persevered. We gave logic a wide-berth and it quickly became a shrinking dot in the distance behind us, and as a result the past 7 years have been the most exciting, terrifying and fulfilling of my life. When the rhythm catches you, it doesn’t let go easily. It’s like the feeling when you listen to your favorite song, watch your favorite movie, eat your favorite meal, or stroll around your favourite city – there’s something magical about it, and for a moment there, you’re completely vulnerable and powerless, no? Well, this cheeky rhythmic magic took hold, and as rhythm often does, it got stuck in our heads and our bodies…going round and round. That is the magic of it. It hasn’t all been magic along the way, but I wouldn’t change a minute of it, and I’m not too proud to admit that I am indeed proud of what Red Hot Rhythm is, what it stands for, and what we have achieved.